Picture postcard location overlooking the duck pond. 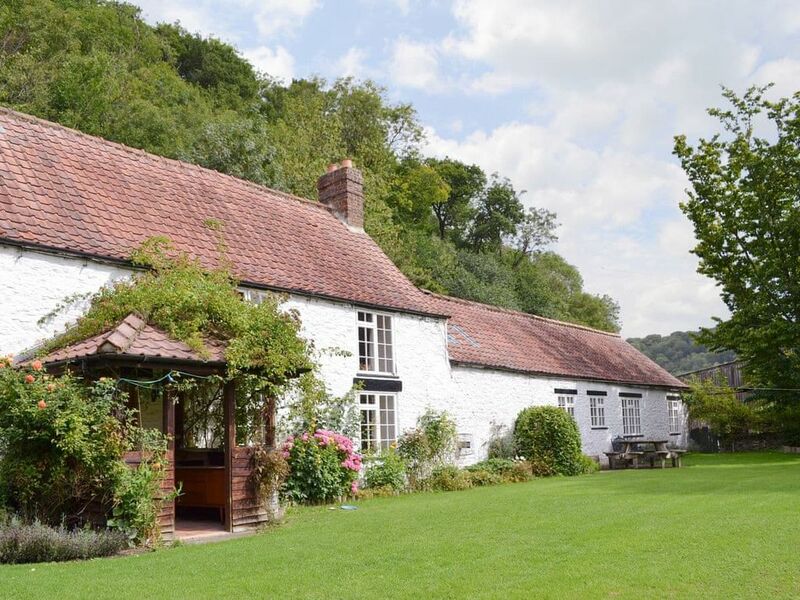 Set in a beautiful wooded location overlooking the farm duck pond, this is a picture postcard setting. The comfortably furnished cottage is all on one level, with a lawned garden and paddock for al fresco dining. There are many walks from the doorstep and a wealth of historic sites within easy reach - Rievaulx and Byland Abbeys, Nunnington Hall and gardens and Duncombe Park. The delightful market towns of Helmsley and Thirsk offer everyday shopping, pubs, restaurants and tea rooms and the scenic east coast resorts of Whitby and Scarborough are an easy drive away. For steam enthusiasts a ride on the North York Moors preservation line is a must. Sitting room: with electric stove effect fire, Freeview TV, DVD and bed settee for the occasional extra guest. Kitchen/diner: with cooker, microwave, fridge, washer and iron. Cot available. Bed linen and towels provided. Smoking permitted (outside only). Private water supply. Lawned garden and paddock. Private parking for 1 car. As this is a working farm we regret that pets cannot be accommodated. No smoking. As this property is situated on a working farm, no pets or children permitted. There are drops and a pond in the grounds. There is a private water supply at this property.